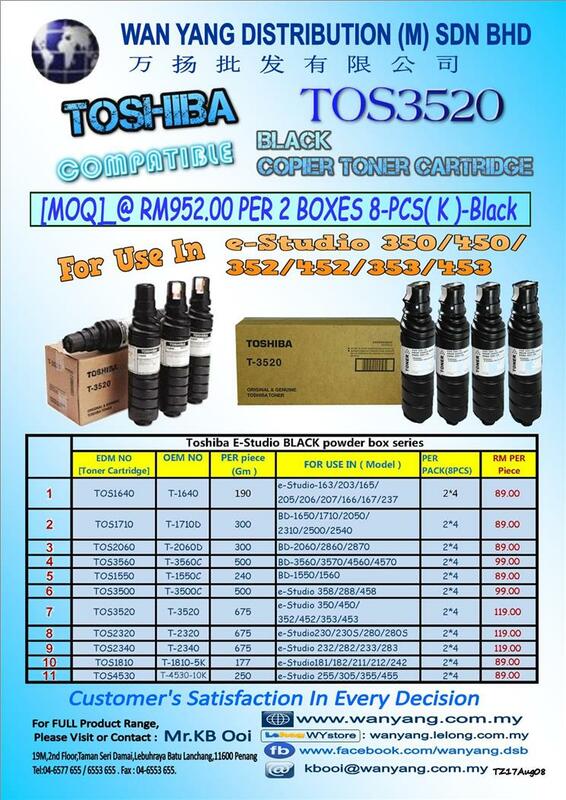 TOSHIBA TOS3520 COMPATIBLE BLACK COPIER TONER CARTRIDGES. SELLING @ RM952.00 PER 8PCS.-[MOQ]. FOR USE IN :e-Studio 350/450/352/452/353/453.